Be inspired for your next great adventure by reading the book, seeing the movie. then telling us what you think on social with #FocusBookClub. 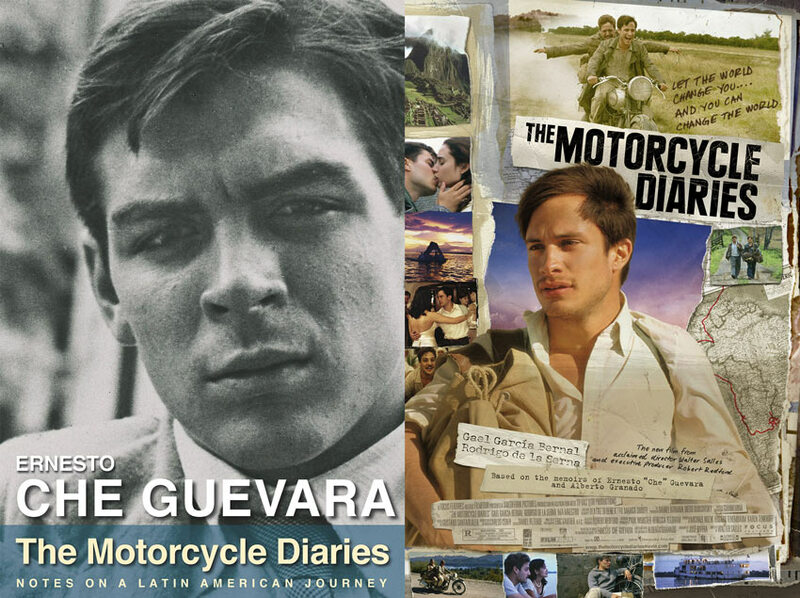 Get The Motorcycle Diaries on iTunes and at Amazon. See the official trailer for The Motorcycle Diaries. The book cover and the film poster. To bring the book to the screen became an international effort. On a trip to Cuba with Colombian writer Gabriel García Márquez, Robert Redford was introduced to Che’s widow, who, charmed by the movie star, agreed to allow him to produce the famous travel memoir. Inspired by “the idea of two young men setting off on what they think is a lark and gradually being affected by the plight of the people they meet," executive producer Redford chose acclaimed Brazilian director Walter Salles, who spent three years researching every detail of the book to get the story just right. The resulting film was an international hit, being nominated for two Academy Awards® and winning for Original Song—Jorge Drexler’s “Al Otro Lado Del Río." Ernesto Guevara (Gael García Bernal) and Alberto Granado (Rodrigo de la Serna) discover the majesty of Machu Picchu. In making the movie, Salles strove to recreate the same faces and places the writer wrote about in 1952. Except for Bernal (who is Mexican), Salles cast actors and non-actors from the very lands they inhabit in the film. To keep the integrity of the journey, the filmmakers shot 30 locations in three months, following the same route as their subjects. "South America is pretty much the last frontier still, thus allowing you to place the camera in places like Patagonia or the Atacama desert and still have the impression that no one has been there before you arrived," Salles recounts. In the book, Guevara writes about Machu Picchu “inspiring dreamers to wander its ruins for the sake of it,” and Salles captures the actual ruins that ignited Guevara’s dreams. 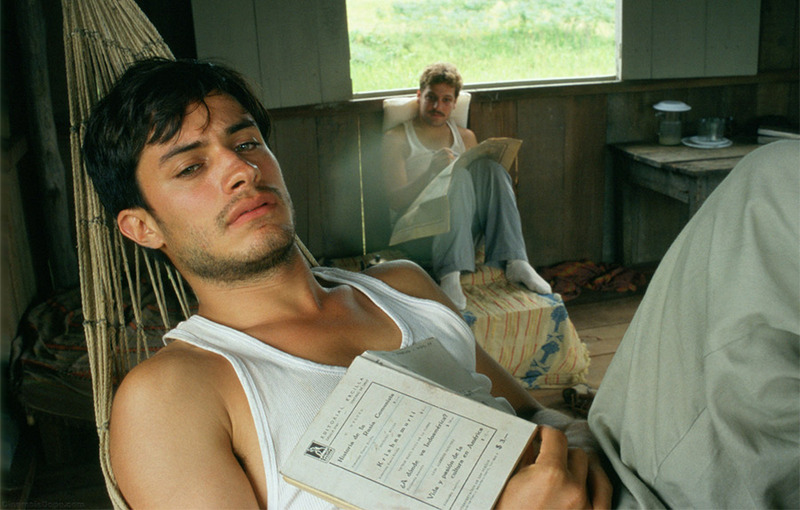 Gael García Bernal discovers the spirit of the young Ernesto "Che" Guevara in The Motorcycle Diaries. To get into character, Bernal and De la Serna studied both the look and outlook of the men they played. “Reading what they were reading at the time, from Faulkner to Camus to Sartre, and then listening to music that they were listening to,” Bernal explains how they built their characters from the inside out. They even spent long nights with the real Alberto Granado, “speaking endless hours with him and a bottle of rum in front [of us]." In playing the young Ernesto, Bernal kept true to the man who wrote the diaries, a youth fascinated by what lay around the next bend in the road and completely unaware of what fate had in store for him years later. For The Los Angeles Times, “we get to see an individual learn and expand from experience, to tag along as purpose gradually reveals its inexorable hand to him."